5. Real URL obviously NOT Regions. 7. 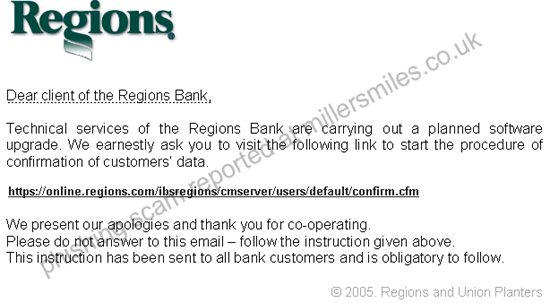 Yet another variation of the Regions scam.